Liverpool will be looking to consolidate their lead at the top of the Premier League table when they face Crystal Palace at Anfield on Saturday. The Reds currently hold a four-point advantage over title rivals Manchester City after 22 games, but they know a win over Palace would put the pressure on Pep Guardiola’s men to respond when they take on Huddersfield on Sunday. However, Liverpool can only focus on what they control and they will desperate to avoid any slip-ups in a game that many will expect them to win comfortably at home. 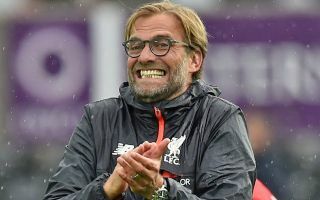 Coupled with the fact that Jurgen Klopp has made three key changes with James Milner, Joel Matip and Naby Keita coming in for Trent Alexander-Arnold, Georginio Wijnaldum and Xherdan Shaqiri, it’s clear that the Reds boss is keen to keep a strong XI while also rotating where possible. Time will tell if those changes have the desired effect, but as seen in the tweets below from countless Liverpool fans, they were delighted to see both Keita and Fabinho start together as the summer signings will hope to play a fundamental role in securing all three points. The Merseyside giants bounced back from the FA Cup disappointment with a win over Brighton last time out, and they’ll be hoping to pick up from where they left off and register another victory.